Former Mt. Gox CEO Mark Karpeles is a free man after a court acquitted him of embezzlement charges. Japanese prosecutors had filed an indictment against him alleging misappropriation of funds from Mt. Gox accounts and manipulating company records. The prosecution was seeking a 10-year prison sentence. The court found Karpeles guilty of manipulating records. Evidence brought forth revealed that he inflated Mt. Gox exchange holdings by $33.5 million. Transactional records indicated that he used the money to invest in other ventures including a 3D printing business. The embezzlement charges, however, were dismissed due to insufficient evidence. Mt. Gox did not have a reasonable accounting system in place during its heyday when executives borrowed money from the agency. The court, therefore, ruled that it would be impossible to determine exact figures in the company’s accounts, subsequently making it difficult to come up with evidence supporting the claim. It also declared that the fund transfers were not illegal but went against the company’s best interests. Among the issues brought to the foreground by prosecutors was Karpeles decision to use Mt. Gox funds to buy a 3D printing business. The court saw the venture as potentially profitable to the firm and found it reasonable that he decided to use the funds in this way. Karpeles was handed a two and a half year prison sentence with a four-year suspension. This means that Karpeles will not be serving any jail time unless he commits a crime within the next four years. His sentence was suspended because the former Mt. Gox exec had no prior criminal record. The ruling came as a surprise to many observers because Japan has a remarkably high conviction rate of 99 percent. This puts Karpeles in the one percent club. In addition to embezzlement, prosecutors had also lodged an aggravated breach of trust case against him, but these charges were thrown out as well. The Mt. Gox hacking saga has dragged on for years and left many questions still unanswered. The bitcoin exchange suffered a major hacking attack that led to its demise in 2014. The scheme had been going on for years and led to the loss of more than 600,000 bitcoins valued at about $2.4 billion at today’s rates. At the time of the attack, Mt. Gox was facing a flurry of financial issues, and the U.S. government had already seized about $5 million of its funds for providing false information to banks. The infamous hacking attack led to a wave of litigation cases against the company filed by disgruntled customers, investors, and creditors, forcing it to file for bankruptcy protection. Karpeles, who was the CEO at the time, has been hounded by prosecutors ever since and was arrested in 2015 for suspected involvement in the hack. He was kept in detention for 11 months and, according to his revelation, was continuously interrogated for 50 days. He reportedly contemplated making a guilty plea just to end the nightmare. “I did my best trying to grow the ecosystem by running the biggest exchange at the time. It had big problems but still managed to hang in there… At the end of the day, the methods I chose to try to get MtGox out of its trouble ended up being insufficient, insufficiently executed, or plain wrong. Following the heist, Karpeles was able to recover about 200,000 bitcoins from a storage device. At its height, Mt. Gox handled about 80 percent of all bitcoin transactions in the world. The latest news comes after an Illinois court blocked his attempt to dismiss a class-action lawsuit filed against him by users of the now-defunct Mt. Gox exchange. Numerous reports allege that Russian national Alexander Vinnik was a key figure in the hacking operation that led to the collapse of Mt. Gox. His cryptocurrency exchange, BTC-e, was apparently used to launder about 300,000 of the over 600,000 bitcoins stolen from the network. According to a WizSec investigative report, the hacking operation began in 2011 when Mt. Gox was still in its infancy. Hackers stole private keys to hot wallets granting them access to a significant portion of the network’s holdings. Digital assets deposited in compromised accounts were then siphoned off the platform in subsequent years. Most of the transfers were executed between 2012 and 2013 and stopped in mid-2013. By this time, about 630,000 bitcoins had already been transferred to wallets controlled by Vinnik. Coins stolen from other exchanges such as Bitcoinica and Bitfloor were also traced to accounts controlled by the Russian. The investigation by WizSec also revealed that he had transferred some funds back to Mt. Gox. Reasons behind the move are still unclear, but this is the main piece of evidence tying him to the money laundering operation. Vinnik is currently incarcerated in Greece awaiting extradition to his native country, Russia. He was arrested in July 2017 after an arrest warrant was issued by the United States government. 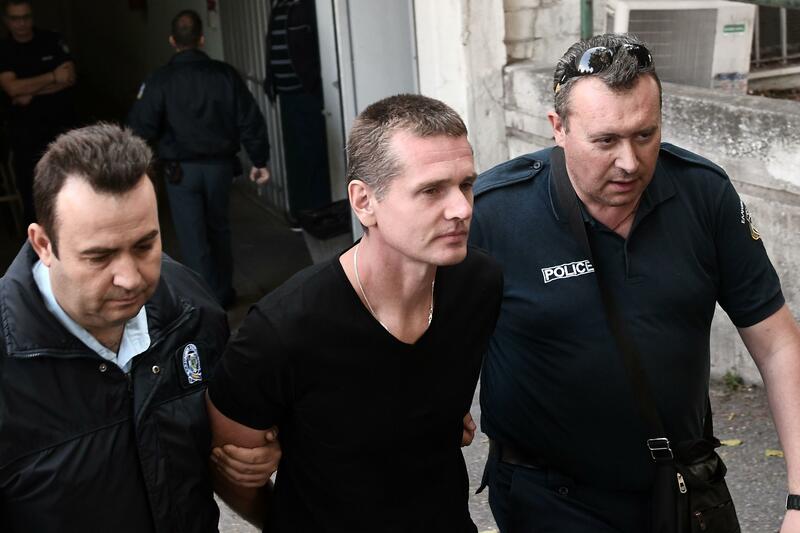 He is accused of laundering between $4 billion and $9 billion through BTC-e.
Vinnik has continued to protest against what he believes is unlawful detention and has been on hunger strike since November 2018. He is also wanted in France to face criminal charges. According to Russia’s human rights commissioner Tatyana Moskalkova, he should be extradited back to his native country because he is a Russian citizen and unlikely to get a fair trial in another nation. There’s been no official report indicating his involvement in the Mt. Gox case by the various governments. So, the allegations leveled against him are still unsubstantiated.